Question: I am on benefits or a low income and need Legal Aid in respect of contact, divorce; sorting out my housing and finances can you help me? Answer: This Firm holds a contract with the Legal Aid Agency but unfortunately the scope for assisting clients in these cases has been greatly reduced as a result of major changes in Government policy. Legal Aid will now only fund cases where the party applying for legal aid is able to prove that they have been a recent victim of domestic violence and the alleged perpetrator is the opponent in any Family dispute they are trying to resolve. This Firm fully understands that a large number of potential clients will find themselves in difficulties and we aim to do all we can to assist. We would therefore suggest that in the first instance you telephone this office to establish how we might be able to help. We do offer different levels of service and hourly rates that can be tailored to suit the individuals needs. Question: I’m concerned about my costs getting out of hand. Answer: An initial Fixed Fee Appointment discussing your matter will allow us to estimate your potential costs. If you are happy to go ahead and instruct Hitchman & Co we ask for monies on account with an explanation as to what it represents. We then review the file on a regular basis and advise you if we believe our original estimate needs to be revised and discuss your options. We invoice you on a monthly basis. You are constantly kept abreast of our very reasonable costs. We do not charge “care and conduct” uplift and provide fully itemized bills. Question: Wouldn’t I be better off paying extra and using a more central London Solicitor? Answer: Being right on the cusp of London and Kent benefits our clients immensely. The costs compared to a central London Solicitor are markedly lower but all solicitors, wherever they are based adhere to the same standards set by our Regulatory bodies. representation is always at hand. Question: Why should I come to you when I can go to a practice that offers fixed fees? Answer: We are all individuals and our clients are treated as such. We do not believe that all family cases can be treated the same hence, if we offer fixed fees some clients would subsidize others and in effect pay for work done on another file. Each client’s case is unique and fees are tailored accordingly. Question: What if I cannot come into the office and would prefer to communicate by email is this possible? Answer: Yes. Once you have attended the office and you provide us with your initial instructions, so that we may comply with account opening procedures, we can communicate via email and it may not be necessary for you to attend the office. This Firm has up to date IT facilities and each fee earner has their own email address. Question: What happens if I am unsure how I wish to proceed, i.e. do I need to instruct a Solicitor or can I wish to find out about options other than court proceedings? Answer: When you attend your initial appointment we will discuss a range of options available you to help your situation ranging from self help to initiating court proceedings. 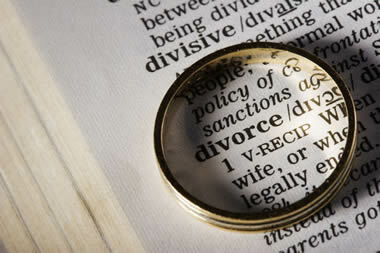 We can provide details of local mediation services. Indeed in many cases, we will suggest that the parties attend mediation in an attempt to narrow the issues. We can make the necessary referrals and advise you during the process if you have any concerns. If the matter settles as a result of mediation then we can assist with preparation of documents putting into effect the agreement reached. We regard Court Proceedings as a last resort and it is the ethos of this practice that where possible other options should be explored first. Question: How will I be able to tell what is being done for me? Answer: We routinely send copies of all documents and correspondence received to clients for their own records free of charge. The service we provide is transparent and we do not generate correspondence for the sake of it. We only charge for a letter if we have to make comments or draw your attention to items within the documents. Question: If I need to go to court who will represent me? Answer: Q if I go to court who will represent me? It will be one of the two resident Solicitors of Hitchman and Co. Alternatively, we will discuss the instruction of a barrister. Question: What do I do if I have a query with regard to my bill? Answer: In the first instance we would suggest that you contact our front of desk team who should be able to provide any further information you need and in the majority of cases she will resolve the query there and then. If not she will refer the matter back to the fee earner and a response will be given within the next few days. Question: What are the advantages of instructing a member of the Law Society Children Panel? Answer: Children panel solicitors are specialist solicitors who regularly represent children and other parties in the most complex of children cases. They provide much greater expertise advising on all aspects of child law including child support and the Child Maintenance Service , adoption and alternatives to removal of children from jurisdiction, correcting erroneous birth registrations, plus any case where social services or other public organisations are considering/have removed children from the family.